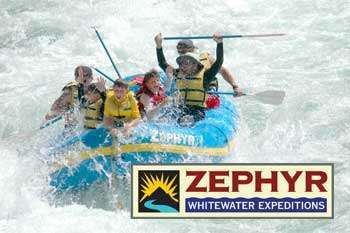 Zephyr WhiteWater Rafting Trips have been operating in northern California since 1973. They have trips on the Kings, Tuolumne, Merced, and American rivers for varying degrees of intensity. They offer a lot of available dates, but book early because they are so popular. The trips range from ½ day in length to 3 days which includes all meals and camping for overnight excursions. Zephyr Whitewater rafting trips offers exclusive discounts on their website at http://www.zrafting.com/internetspecials.htm and they also have exclusive offers for fans in facebook. One such special offer is 60% for a youth (17 or younger) who comes with an immediate adult family member from Monday-Thursday on Kings River. The base camp for Kings River is a great place to hang out before or after your rafting trip. 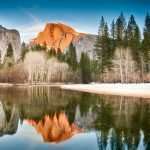 It is located very close to Kings Canyon/Sequoia National Park. 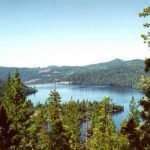 They have flush toilets, picnic tables, a rinse off shower, changing rooms, sinks, rooms, a volleyball court, and campsites. The Merced River trip offered by Zephyr Whitewater is ideal for anyone who is staying near Yosemite Valley. Located only 10 minutes from the Highway 140 entrance to Yosemite, your group can do both whitewater river rafting and see Yosemite. 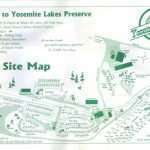 The Tuolumne River Rafting Trip is also great if you will be near Yosemite. To make a reservation, call Zephyr Whitewater rafting trips at 1-800-431-3636.